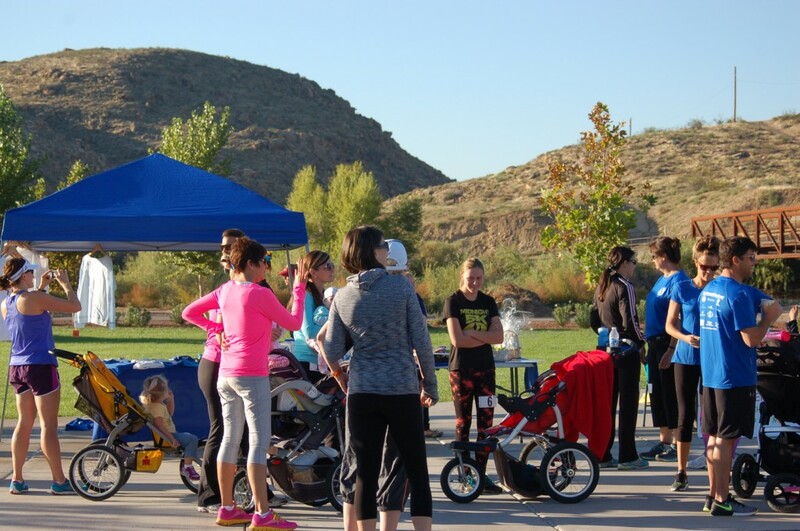 ST. GEORGE – Saturday, on a cool, crisp, sunny morning, women and families gathered at Confluence Park in St. George to participate in the first “Breast Run Ever” 5K fun run and walk designed to raise funds and awareness for Free2Feed, a local breastfeeding support group. The group was founded a year and a half ago by Aditi Aromi who was looking for support in her personal breastfeeding story, Aromi said. 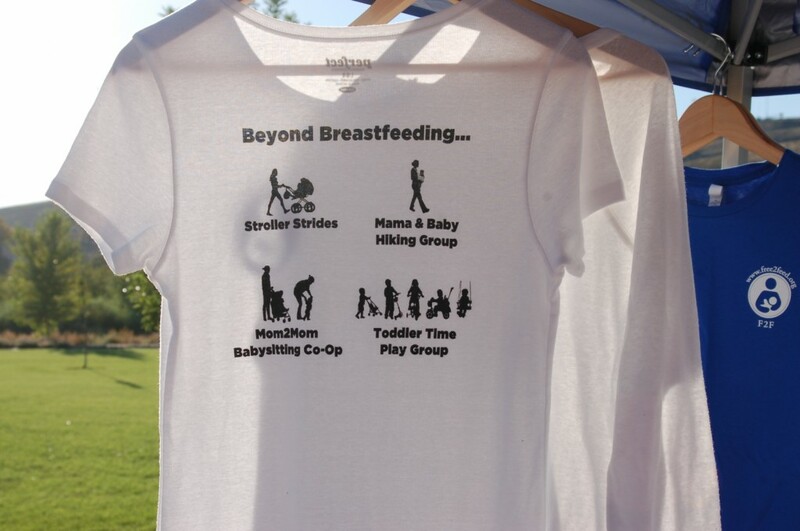 The group which started small – there were about six women in the beginning – has now helped more than 100 women with breastfeeding education and support, Aromi said. Group member Brittney Callister has been with Free2Feed for a year and said that the group has really helped her to be comfortable breastfeeding in public. Though Callister said she still uses a cover, the group has really given her support and confidence in her choice to breastfeed. 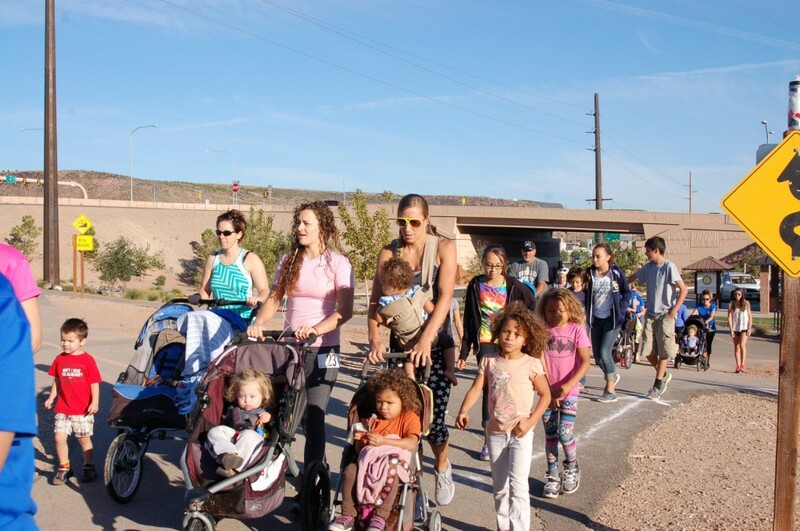 In addition to breastfeeding support, the group also provides full mother and family support, holding mommy and me yoga classes, hiking and walking groups, nutrition and educational classes. 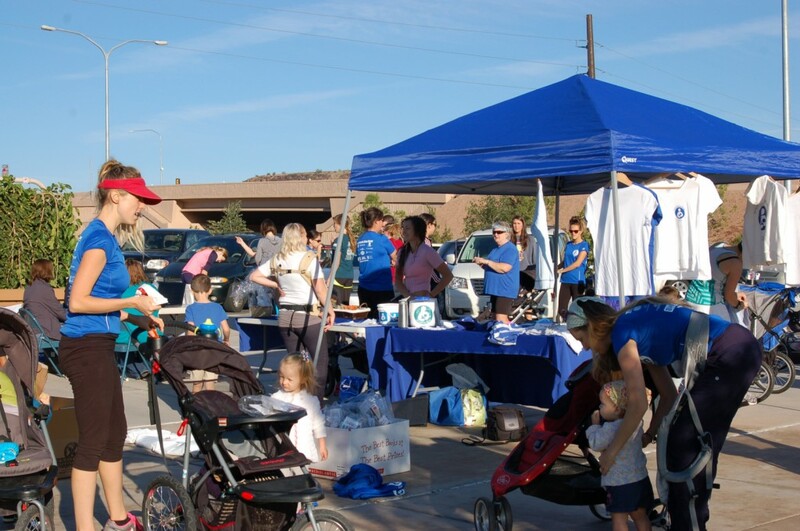 The group recently teamed up with the St. George Police Department to talk about car seat safety and they have held classes on potty training, teething and many other parenting topics. 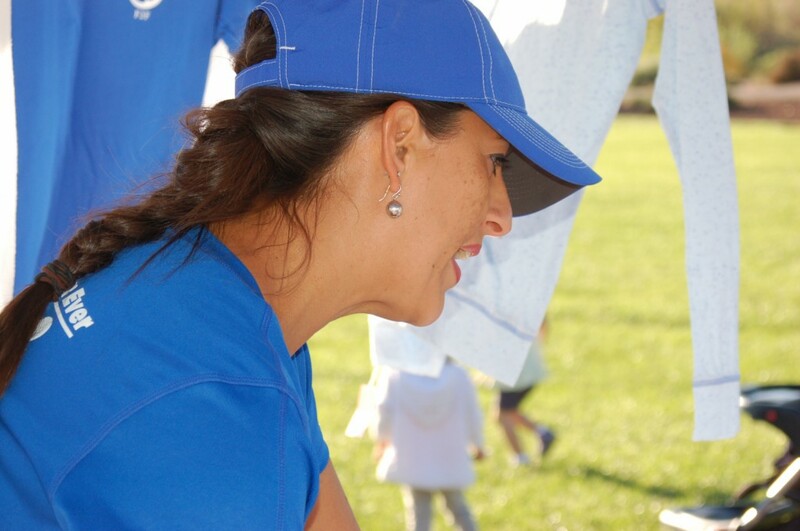 For Callister, the extra support has been really helpful, she said, and she has received information from how to choose the best diapers to chiropractic care. 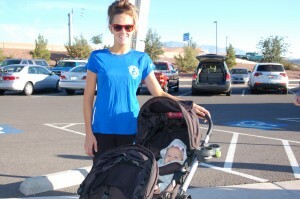 “Breastfeeding is just a small portion of what the group does,” Callister said. 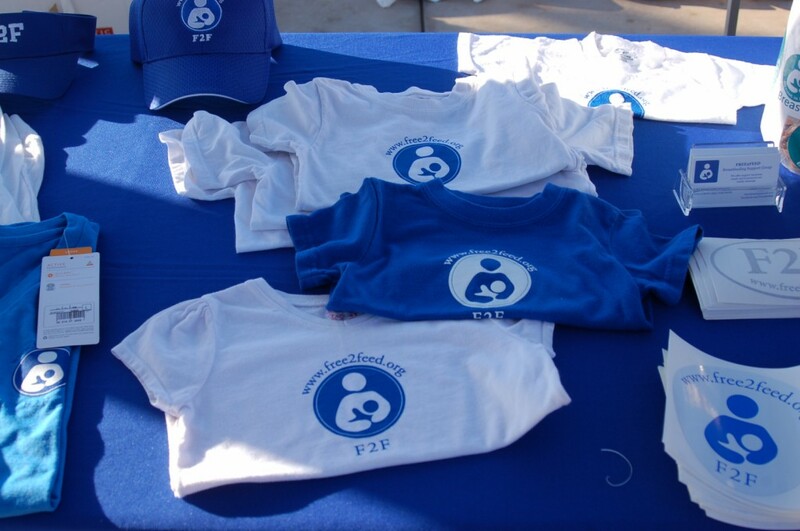 Free2Feed is an all inclusive group and they welcome anyone from newlyweds, pregnant women, experienced mothers, breastfeeders and bottle feeders, Aromi said, adding that you will not find any guilting or shaming for your feeding choices at Free2Feed. 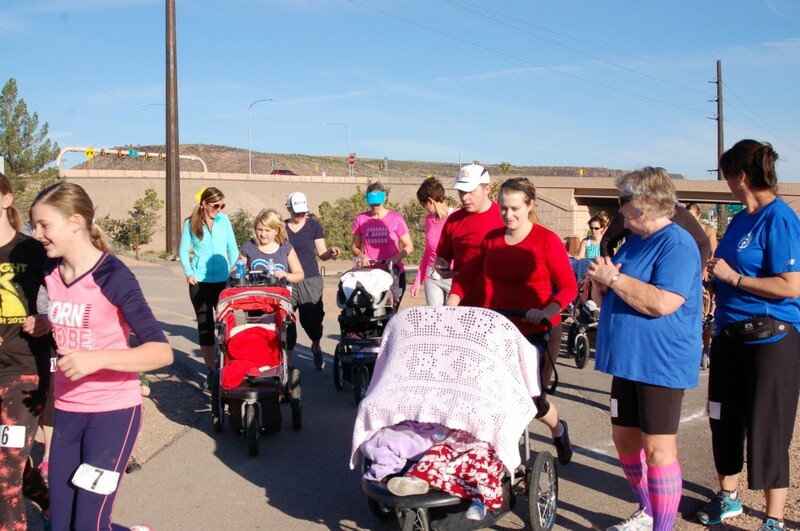 The “Breast Run Ever” 5K was the first race the group has organized and about 37 registered runners and their families gathered at Confluence Park to run, walk and stroll all in an effort to support Free2Feed. Funds from the registration fees will go to help the group file for nonprofit status which will enable them to garner even more support as well as organize support groups in other cities throughout the state, Aromi said. 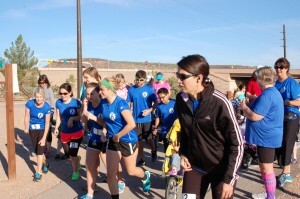 Over $900 in prizes were handed out to participants in the race that organizers hope to make an annual event, Aromi said. The next “Breast Run Ever” is scheduled for Oct. 17, 2015.